For any tomorrow there is a yesterday, but it is still odd to hear that drones have been around for a century now, isn’t it? If you ask Wikipedia, you’ll find out that just as many other now-familiar things, drones (the colloquial for “unmanned aerial vehicles’’, UAVs) were originally devised for war, not peace. Like it or not, long before the 'War and Peace' was written, these two concepts became inseparable. Just like the ubiquitous yin and yang, one begets the other and vice versa. Regardless of how expensive a drone may be, it’s never as expensive as a full-sized military aircraft with a trained pilot in it, and, to that matter, not as priceless as a human life is supposed to be. Also, a pilotless vehicle is much smaller and lighter. First attempts to create a version of an unmanned flying object that can carry a bomb and drop it at the required location without being noticed have started right before WWI. But it was the actual start of the warfare that boosted the research and development process, especially, in the USA. The accelerated R&D seeking to find a way to fight the German Zeppelins and U-boats yielded several more or less viable prototypes, in particular, the Kettering Bug and the Hewitt-Sperry Automatic Airplane. With design and testing stages completed only by late 1917-1918, these had little to no use during WWI. But the research was bound to go on. By the next war, all types of aerial vehicles were ready meant for the theater of military action. Later on, decade after decade, technologies continued to evolve, fostered by cold and hot wars around the globe. Mainly, UAVs were designed in the U.S. and widely used in conflicts bursting out in the Middle East and Asia over 1950s-1990s. Eventually, some of the know-how became available for civilian, commercial, and consumer use. Majority of drones outside the military domain (or other state-controlled areas) fall into micro and miniature UAV classes which seem most adaptable to the general market. The USP of modern commercial drones is that they can replace humans in some routine, tedious, and hazardous tasks in heavy industries, agriculture, power generation and supply, as well as during emergencies. There are quite a few players in the market each offering its own lines of drone solutions tailored to specific tasks (e.g. industrial inspections, herbicide spraying or firefighting). For me, the question is whether modern civil drones can outperform people in these areas both in terms of efficiency and price. Compared to the military domain, business is less ready to put up with dispensability of expensive items like drones. It’s not about accomplishing the mission at all costs, but about completing the task on a daily basis with a stable, predictable result and at a low cost. Despite some obvious successes, drones still have serious limitations that have to be overcome. For example, battery life in most available products leaves much to be desired. Top-notch models claim flying times above one hour only in ideal weather conditions and without additional payload. Speaking of payload, yet another important industrial criterion, anything beyond 40 pounds (just under 20 kilograms) usually requires a full-sized unmanned helicopter which is not exactly a “drone”. Speed and distance also have much room for improvement. So, the initial demand gives a rise to a whole industry of drones for military and civil (commercial and consumer) purposes. Likewise, adjacent industries got a boost given the need for compatible software, parts, and tools. With the competition stiffening, it is high time to develop marketing strategies to maintain sales and profits in this knowledge-intense domain that promises breakthroughs, as long as adequate funding is available. Small wonder that the next step in technology expansion to the day-to-day life is leisure and entertainment. Indeed, when we are safe, provided with necessary things and free from tedious tasks delegated to drones, it is having fun that we all want. Drones seem to offer immense business and sales opportunities in professional, consumer and prosumer segments of this market. A professional wedding photographer is likely to be willing to have aerial shots on their list of services, a young couple would love to have a drone following them during the honeymoon trip, bridesmaids would hit the right spot coming up with a fancy drone for the “new” of the"something old, something new, something borrowed, something blue” rhyme. Well, the mass market seems to have taken the bait. Drones are hot right now. Now it is for the offer to cope with the avalanching demand. The outlook may seem bright, but modern consumers from generations X, Y, and Z are spoiled, picky and whimsical. They want it all, and they want it now. First mobile phones were a rage in the 1990s, but who cares for a mere phone today? “Device” is the buzzword, “multitasking” is the motto. pro camera with an aerial selfie function; option to share images and videos to Instagram and Facebook; software to make calls, appointments and excuses; step and calorie tracker; battery life, size and weight of a smartphone; fancy design; shopping bag; price of $99.9 or less (BOGOF and 3 for the price of 2 kinda thing); an optional purr. There is little exaggeration in this list if any. And, apart from an attractive look and feel, a viable product has to meet other less obvious and marketable, but far more imperative requirements. Thus, to ensure global sales, manufacturers have to engineer versatile and powerful solutions that comply with local laws on drone usage in as many geographies as possible. 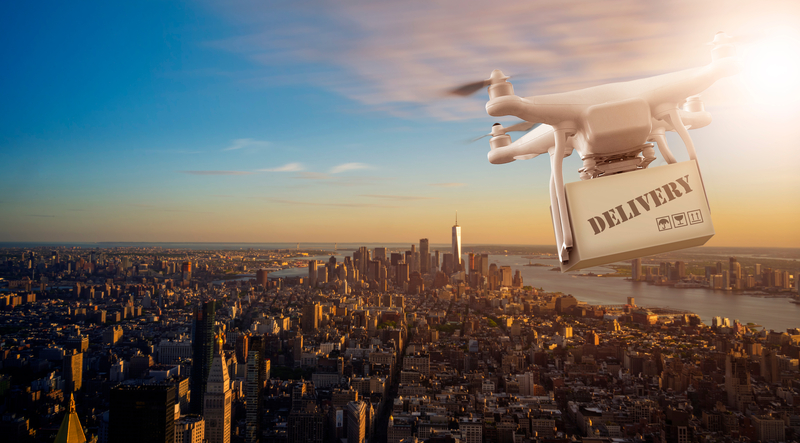 Varying from country to country, regulations may limit UAV flying areas, the weight of unregistered drones for personal use, owners age, allowable altitudes, etc. So, both in the B2B and B2C segments, drone manufacturers face numerous challenges. A successful industrial drone has to feature top resilience, versatility, power, and capacity at the lowest possible price. The retail market wants new fancy toys every day, yet it may be less willing to splurge on them. As it happens, only the military segment is rich enough to afford best existing solutions and to invest in R&D; what’s more, it does not care for bells and whistles. 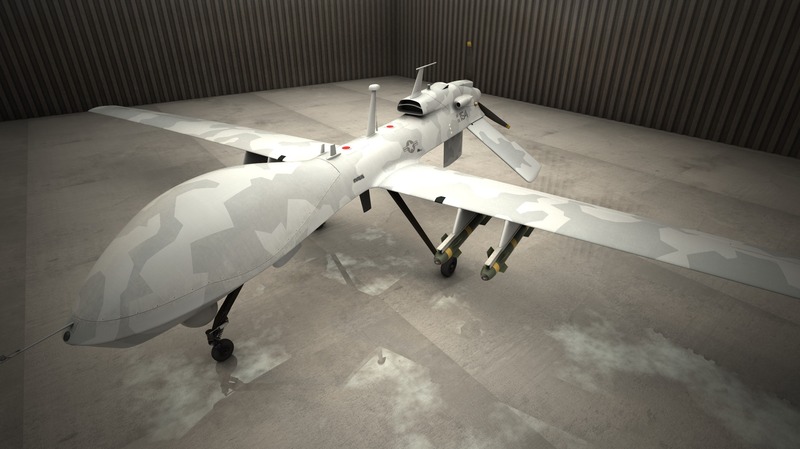 Interestingly, U.S. giants like Boeing or Lockheed Martin that enter the UAV market are primarily focused on military appliances; at the same time, industrial, commercial, and consumer segments are now dominated by the Chinese players, in particular, by DJI that controls a whopping estimated share of about three quarters of the global drone market. Hopefully, best military designs will go on transforming into friendly civil devices and pretty toys for children and grown-ups without being ever called up for actual service.